It's Wednesday, and we're pretty sure you don't need an excuse to have an impromptu girl's wine and cheese night. We have a classic pairing with a sweet twist. So call your friends, hit the store, and get together! On our trip to Mazzaros this week, we found a new cheese to try that we just have to share! It's called Graskaas, a smooth and creamy cheese that is made from the milk of grass-fed cows who have dined on the first grasses of spring! Now if that doesn't sound special, we don't know what does. 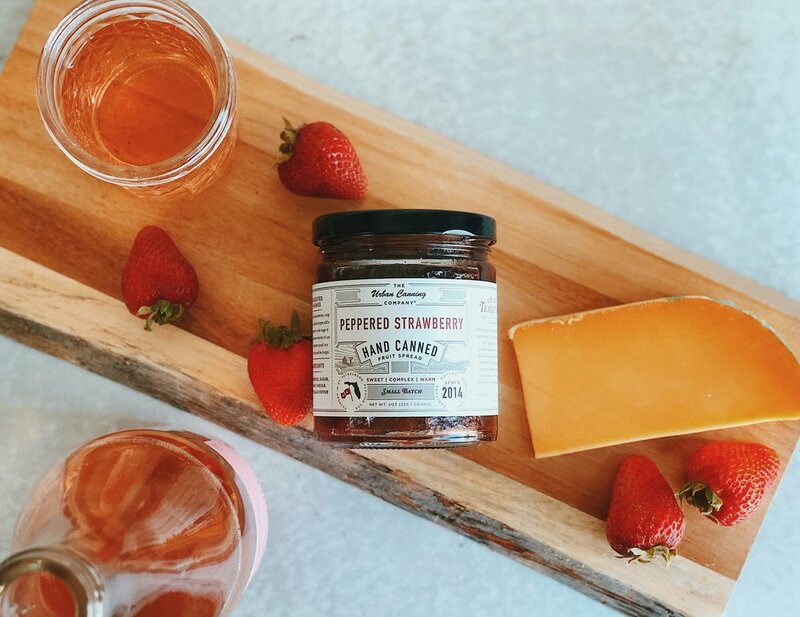 Add our Peppered Strawberry jam on top and this sweet and creamy mixture will have you coming back for more. 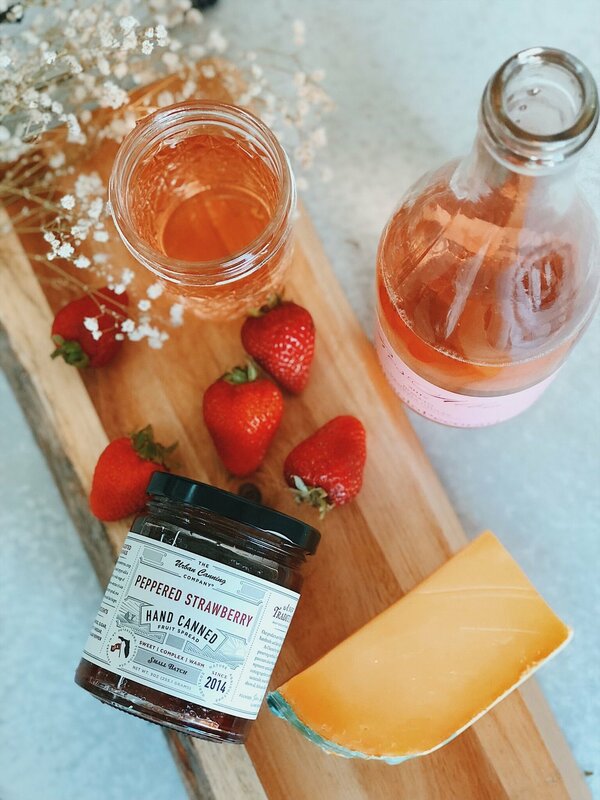 And, on these warm summer nights, a cold Rosé is the perfect addition to snacking on cheese and crackers!